We don’t just build houses for shelter, but also to provide a sense of ‘home’. However, we are not the only beings who do this; certain birds also show this type of behaviour; like the bowerbird. Male bowerbirds know that the females prefer a handy partner. That is why the males build huge nests. This concept has inspired the artists: their installation follows the principle of the exoskeleton - a structure turned inside out. 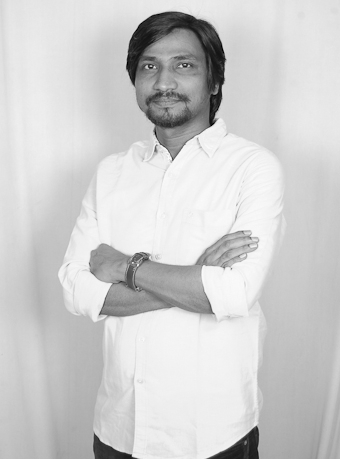 Vikas Patil (IN) is an architect and light designer. His work is based on both disciplines. Santosh Gujar (IN) graduated from the Sir J.J. College of Architecture. He has over ten years of experience as an architect.